In terms of the environment, it is indeed time to panic. Climate change, pollution, resource shortages and more are already shaping human lives in dramatic and sometimes devastating ways. However, this doesn’t mean the situation is hopeless. Despite obvious challenges, strides are being made to safeguard our natural environment. Globally, nationally and individually, efforts to live more responsibly and sustainably do yield rewards. For Earth Day 2019, we offer six reasons to be optimistic about our environmental progress so far. Back in the early eighties, the rapid depletion of the ozone layer was identified as the most significant threat to humanity. Without this protective layer of gas, the effects of the sun’s ultraviolet rays would have a devastating impact on earth, and all its inhabitants. The formation of a huge hole in the ozone layer over Antarctica eventually spurred world leader’s into action. In 1987, The Montreal Protocol banned the world-wide production and use of aerosol sprays and coolants – chlorofluorocarbon-rich products primarily responsible for the systematic erosion of stratospheric ozone. Now, 32 year later, we are reaping the rewards of collaborative global action. According to a UN report published in 2018, the ozone layer is slowly but surely recovering. Scientists believe it will be fully repaired by around 2060. Plastic is the environmental risk factor in the new millennium. According to one study, a million plastic bottles are bought worldwide every minute – that’s a lot of non-biodegradable plastic that ends up in our landfills, rivers and oceans. Governments, the world over, are attacking this issue head on by phasing out, or banning, single-use plastics. Right here, in South Africa, the Department of Environmental Affairs has prioritised the problem. Talks recommending the total ban of plastic items, such as straws, polystyrene packaging, Q-tips, cups and tableware, are at an advanced stage. South Africa has invested billions of rand in renewable energy products… and it’s paying dividends. Wind farms and solar energy plants are producing significant amounts of clean, green energy, thereby lowering the national carbon footprint. One of the biggest projects, the R12 billion Kathu Solar Plant, synchronised with the national grid last year, and is sustainably powering 179,000 homes. 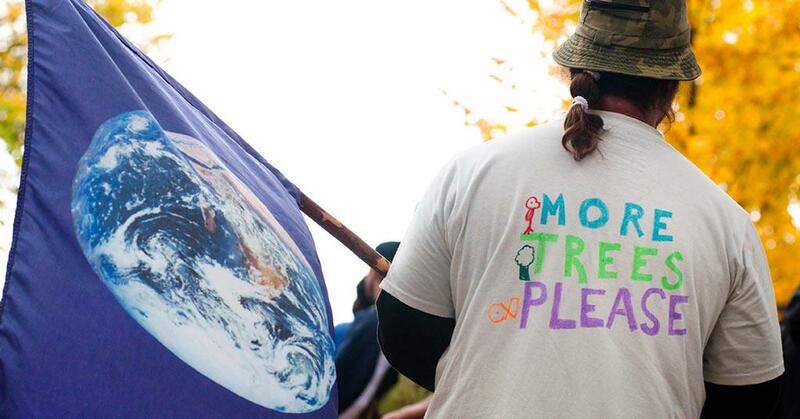 Experts predict it will save six million tons of carbon over the next 20 years. Five wind farms in the Eastern and Western Cape are up and running, and contributing 645,71 megawatts to the national grid. What’s even better news is investors have pledged a further R56 billion to renewable energy projects that are expected to generate a further 2,300 megawatts of energy, over the next five years. Technology is providing new and innovative ways of dealing with environmental challenges. From apps that are supporting the sharing economy, and drones that are preventing rhino poaching, to more sophisticated processes and systems, tech is finding solutions to problems that were thought to be intractable not too long ago. One such example is System 001, a 600-metre floater and net system developed to clean up the mountain of plastic in the Pacific Ocean. Once fully operational, and if all goes according to plan, 60 of these plastic harvesting systems will be deployed to reduce the Pacific Garbage Patch by up to 90%, in under two years. Increasingly, companies of all sizes are doing their bit to protect the environment. Rather than aiming just to comply with requirements, many are accepting responsibility and making real changes. From constructing sustainable buildings and using renewable energy to funding important environmental projects, minimising waste and banning certain single-use plastic items practically overnight, local companies are making a difference. At EcoBox, we’re pleased that our plastic moving boxes save energy and water, and we continue to donate 1% of all hire revenue to Food and Trees for Africa. Of course, there’s still a lot of work to be done. NASA’s fleet of satellites is helping geo-scientists evaluate how humans are reshaping earth’s topography. By studying high resolution 3-D images in big data sets, and using lidar technology to clearly enunciate patterns, experts can assess the impact of mining, cultivation and infrastructure on the global environment. Satellite imagining and data is key to providing governments, and other decision makers, with less invasive and more environmentally friendly ways of managing the land for the benefit of all. 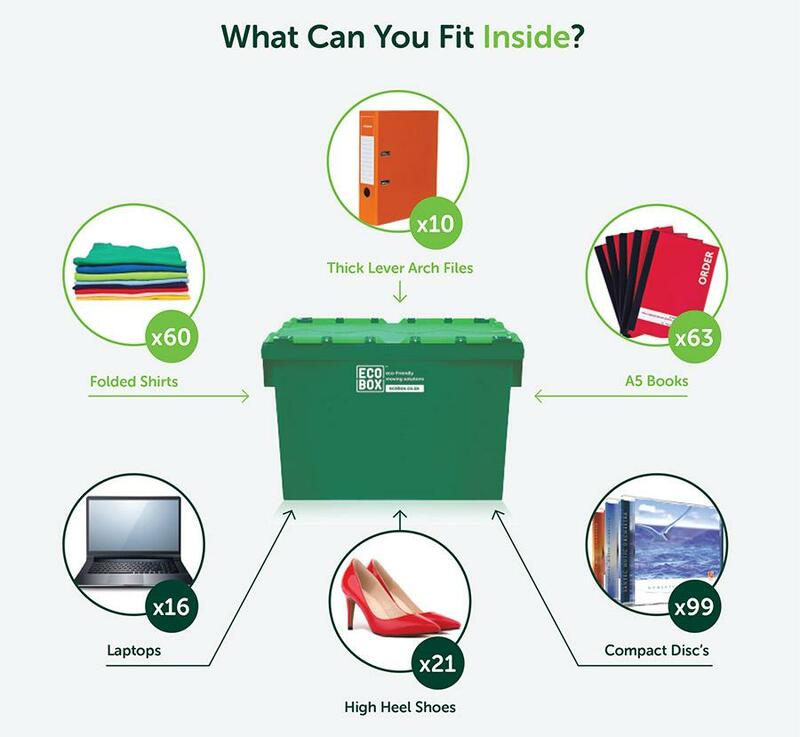 At Ecobox, we offer affordable, eco-friendly moving boxes that are ideal for office moves. Just order your boxes and we’ll deliver them to your doorstep – and once you’ve moved and unpacked, we’ll collect them from your new location. Contact us for more information or get started now.